Before you assume occupancy of a property, you will have to supply your landlord with a deposit, which is often the same amount as your rent. Once your landlord has received your deposit they must protect it with a government-based rental deposit scheme. Meet the terms of your tenancy agreements. Maintain the property to a good standard, avoiding any form of damage. Make an inventory at the start of your tenancy and take photographs showing the state of the property – these will help with any disputes at the end of your tenancy. Pay your last month’s rent, as some tenants withhold it in case the landlord refuses to return the deposit. You are legally liable to pay rent so you’d risk being taken to court. Once you and your landlord have agreed how much you’ll get back, your deposit must be returned to you within 10 working days. On some occasions, disputes may occur between a landlord and a tenant over certain responsibilities. For example, an area of the property may be tarnished with damp or there may be some wear and tear. To see the extent of a landlord’s responsibilities, visit our Advice About Landlords Duty of Care page. If a dispute does occur, then your tenancy deposit scheme will offer a dispute resolution service completely free of charge. However, your landlord has to agree to it. If your landlord hasn’t returned your deposit within 10 working days of the end of your tenancy, without substantial reason of doing so, then the best course of action would be to write them a polite letter threatening court action. That way, they will know you are serious about getting your money back. The last thing they will want is a court case on their hands; in fact it will be a hindrance for both parties, so the letter will be a push in the right direction of them returning your money. However, if they still refuse to return your money, then your best avenue of pursuit would be to find a housing solicitor who can guide you through the legal process of getting a court to order the return of your deposit. 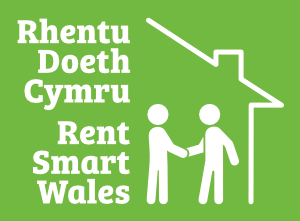 You can use our Links page to find a housing adviser.